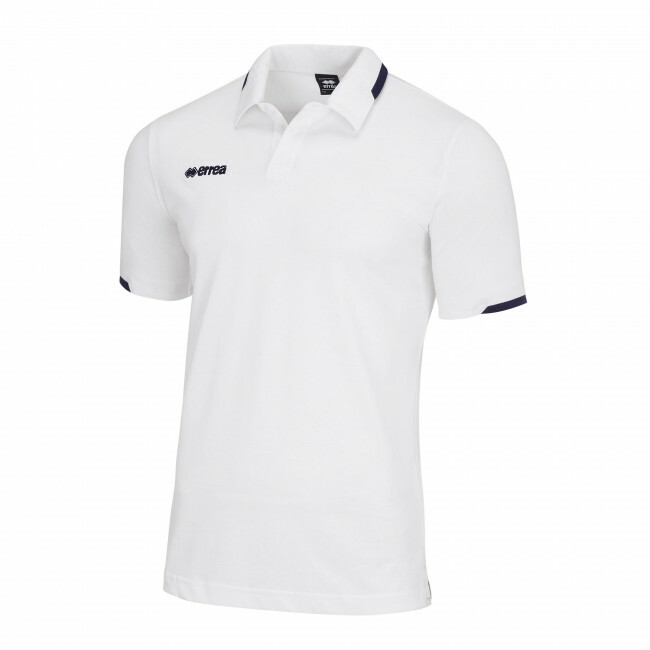 The Baker polo shirt by Erreà is the ideal garment for those who want to be elegant at all times, on or off the pitch. It is a unisex short-sleeve, cotton polo shirt for adults, perfect for both men and women, featuring a refined design as well as classical and elegant style. It has been specially designed for athletes who want a touch of class even when they are wearing their game uniform. This short-sleeve polo shirt has a shirt collar with a button placket that allows you to adjust the garment inner ventilation. It features a semi-snug fit and coloured inlaids on the arms and on the collar, so that you may show off your team's colours at all times. Materials: Cotton 1186.